Foreign investors are claiming about $8.2 billion from Ukraine, said Deputy Justice Minister Anton Yanchuk. The Ministry of Justice is providing litigation support in 19 lawsuits with foreign investors and is working on pre-trial mediation in 21 others. The Minister blames Russian military aggression in Eastern Ukraine, a weak national currency and oligarchs, UNIAN reported Thursday. Yanchuk said Russia’s action has prompted foreign investors to protect their rights and interests as quickly as possible. Ukrainian oligarchs who don’t want to cooperate with the process to curb their power, are aggravating the situation and using the difficulty in the economy for profit, he added. The failing Ukrainian justice system is another heavy burden on the country’s economy, the deputy minister concluded. 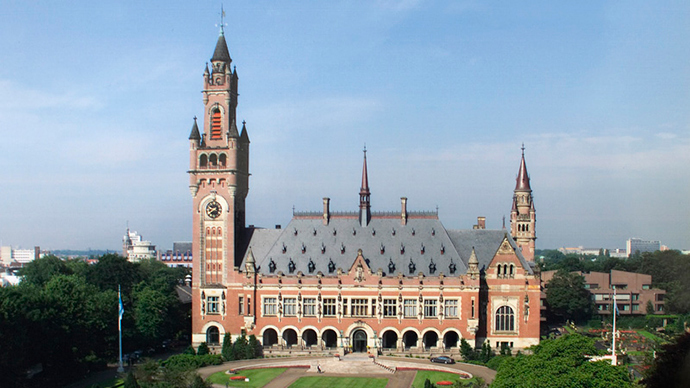 In 2014 investors used international courts to demand about $1.4 billion from Ukraine, and in 2013 another $1 billion. On Tuesday, Ukraine’s parliament passed a bill giving the government the authority to suspend foreign debt payments to “unscrupulous creditors,” saying foreign lenders should “share the heavy burden” of debt and the ailing economy with the Ukrainian people. The total debt of Ukraine is currently estimated at about $50 billion, 71 percent of GDP in 2014. In 2015, the debt will grow and reach 93 percent of GDP, according to the National Bank of Ukraine. Naftogaz, Ukraine’s leading energy firm has been on the brink of bankruptcy since 2009. The recapitalization needs of the company added 10.1 percent of GDP to Ukraine’s overall consolidated fiscal deficit in 2014. Kiev could face a lawsuit from Russia, if it fails to repay $3 billion in Eurobonds it sold to Russia at the end of 2013, Russia’s Finance Minister Anton Siluanov warned this week. A $75 million interest payment on the debt is due in June, and if Ukraine misses it, Russia will use its right to go to court, he said.